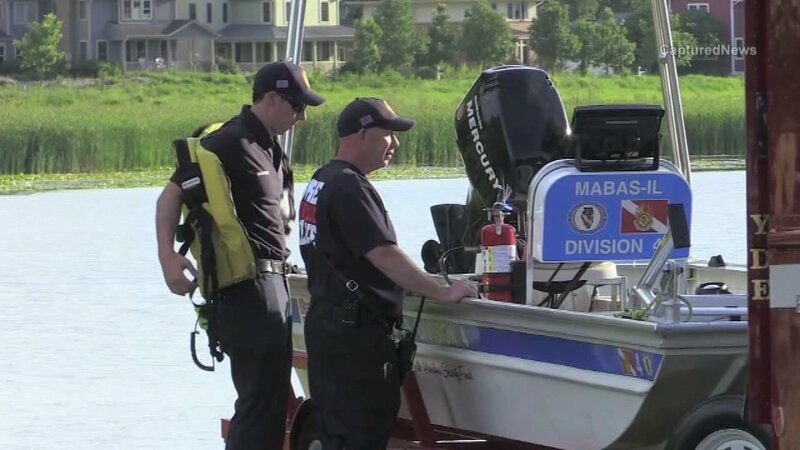 GRAYSLAKE, Ill. (WLS) -- A 19-year-old man who died a day after he was pulled from Lake Leopold in north suburban Grayslake was identified Friday. The man was in the water around 5:45 p.m. Wednesday and had trouble swimming, the Lake County Coroner's Office said. Bystanders tried to help him stay afloat, but he slipped underwater. Firefighters arrived about five minutes later and worked to rescue him. He was recovered from about 9 feet of water around 6:10 p.m., authorities said. The 19-year-old man was transported in critical condition to Advocate Condell Medical Center, where he died at 1:44 a.m. Thursday. He was identified to the coroner's office as Yhalayea Cornelius Kumahn, of Aurora, Colo.
An autopsy was performed Friday. Preliminary results show Kumahn drowned. Toxicology results are pending.